I always thought of Iowa as being totally flat and full of corn. While that much is true for a large part of the state, I was surprised to find the state capitol perched atop this fairly large hill. It makes for some great views of the city! 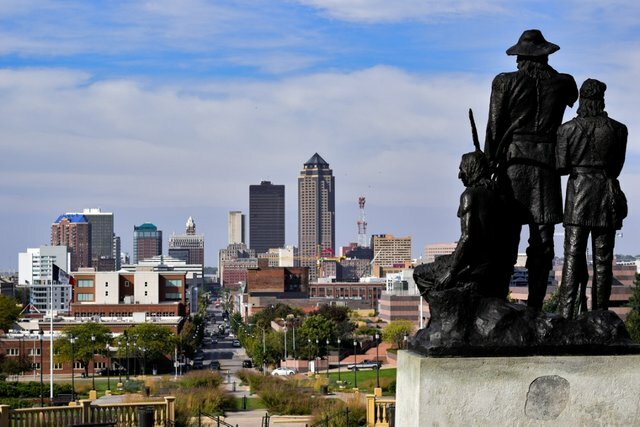 For those travelling across the country, don't overlook Iowa as a place to stop and explore along the way.